The White-Wilson Community Foundation will host the 7th Annual Run for the Health of It 5K & 8K on Saturday, March 23, 2019 at 9 a.m. The run/walk is open to participants of all ages and skill levels. The flat and scenic course will start and end at AJ's Oyster Shanty, 108 Santa Rosa Blvd. Fort Walton Beach, FL 32548, on beautiful Okaloosa Island. Walkers and runners can enjoy a post-race after party that includes race awards, libations, live music and a delicious spread by AJ's Oyster Shanty! The family-friendly event offers plenty for kids. A bounce house, face painting and spin art will be available free of charge. The event also features a fun 100 yard dash for children 6 and under. All proceeds benefit the White-Wilson Community Foundation and will help support health education and services in our community. Pre-registration is only $25 for adults and $20 for kids under 17, or $30 the day of the event. T-shirts are guaranteed for those registered by March 11, 2019. The White-Wilson Community Foundation will host the 10th Annual Little Black Dress Party on Saturday, May 11, 2019, held at Magnolia Room, Sandestin Resort, Fl at 6 p.m. The event will feature live performances, dinner, dancing and an auction. All proceeds benefit WWCF and provide health services to local women in need. The White-Wilson Community Foundation is hosting the 32nd Annual H.C. White Charity Golf Tournament on Friday, November 30 at the Bluewater Bay Resort in Niceville. The four-man scramble style tournament kicked off at 12 p.m. and honored Dr. H.C. White's legacy and commitment to community health. All event proceeds benefit the White-Wilson Community Foundation and provide valuable health services to our community. 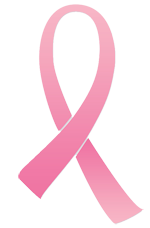 In honor of Breast Cancer Awareness Month, the White-Wilson Community Foundation invites businesses to participate in a Jeans Day Program to help raise funds for local women in need of breast cancer screenings and treatment. Participating businesses will allow employees who make a $1 donation to WWCF to wear jeans. The program will run each Friday in October. Your support will help make a difference in the lives of women in our community! All proceeds support the White-Wilson Community Foundation's Women's Health Initiative and provide life-saving care to women right here in our community.